A neatly proportioned 19th Century Kidney Shape Sofa, Having a rolled back with a sprung seat, raised on Walnut turned legs and retaining the original castors. 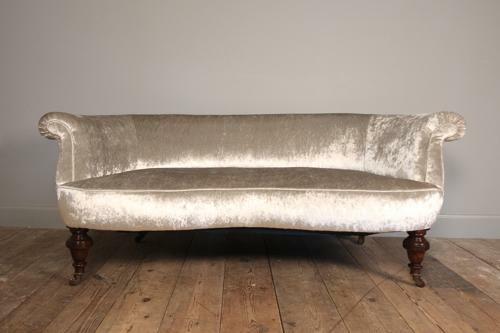 This lovely little sofa is not newly upholstered but the velvet fabric is in excellent condition as is the sofa throughout. English Circa 1880.